Sponsored by Keep America Beautiful, Recycle-Bowl is a fun, friendly, and free contest for schools to encourage recycling. Whether a school has an existing recycling program or is just getting started, Recycle-Bowl is a great way to get students and teachers excited and grow a school’s recycling program. 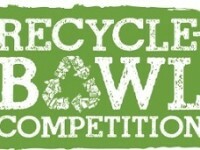 The Recycle-Bowl Competition is open to all elementary, middle, and high schools. Public, private, and charter schools are eligible. Schools that take part in Recycle-Bowl will track and report how much material they collect during the four-week contest period. Schools may compete for national prizes. While congratulating Magnet Traditional School in Phoenix, Arizona, last year’s winner, president and CEO of Keep America Beautiful (KAB) Jennifer Jehn said, “Through a fun and friendly competition, Recycle-Bowl shines a spotlight on school recycling and instills environmental values in our younger generations. It’s inspiring to see students across the country becoming so enthusiastic about recycling and conserving our planet’s natural resources.” According to KAB’s media release, over 1,400 schools participated last year and their combined efforts resulted in 4.4 million pounds of recyclables being recovered. This year’s contest takes place October 19 through November 15. The deadline for entry is October 13. Final reports are due by December 15. Encourage your local school to join the fun! Learn more or register for Recycle-Bowl today!